Rosemary Clarke Middle School Track and Field begins March 4th. 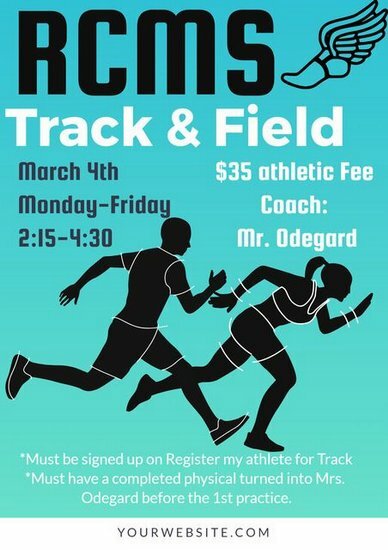 To participate you must be signed up on Register My Athlete, have a completed physical form turned into Mrs. Odegard before the 1st practice, and pay the $35.00 fee. Practices will be Monday - Friday 2:15 - 4:30. See Mr. or Mrs. Odegard for any questions.